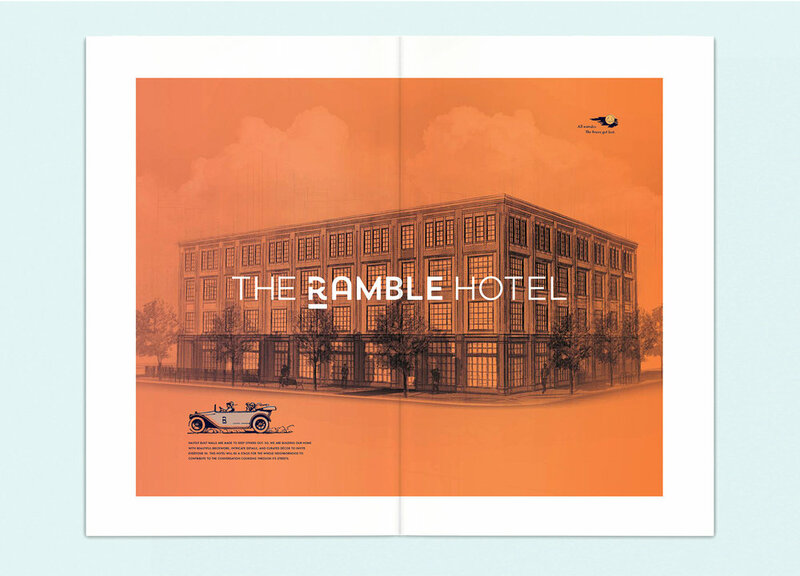 The Ramble Hotel is a truly unique boutique hotel, handcrafted to deliver an entirely new experience to Denver. The goal was to connect with millennial leisure travelers through community gatherings/events, film screenings, live music, and lobby space that serves as the key connection point to local culture inside and out. 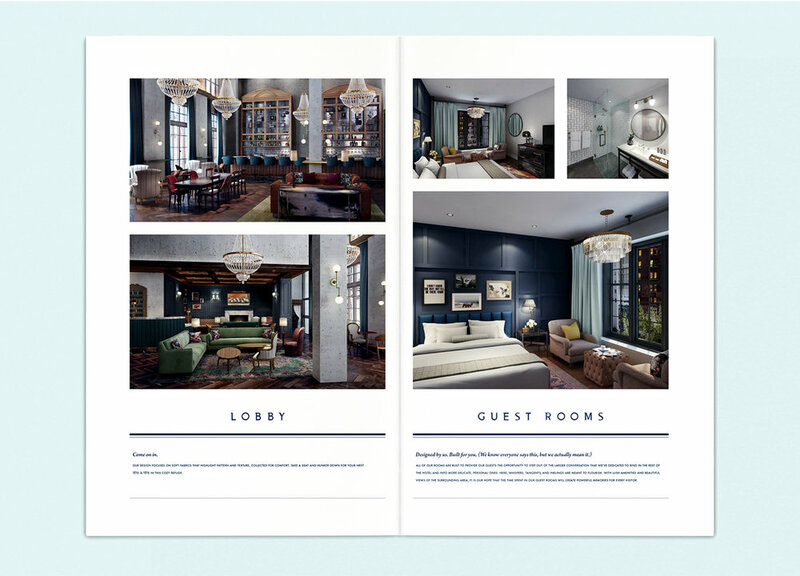 We drew inspiration for our naming and branding efforts from the French Salon movement during the Enlightenment period, which is reflected in the values of this new hotel. Our naming strategy came to full realization by combining the name of Catherine de Vivonne, marquise de Rambouillet and the British notion of rambling (walking without need of destination). This created a name that was rooted in the hotel’s philosophy on life, while giving it the permission to explore the possibilities of their brand expression in this new and emerging space.